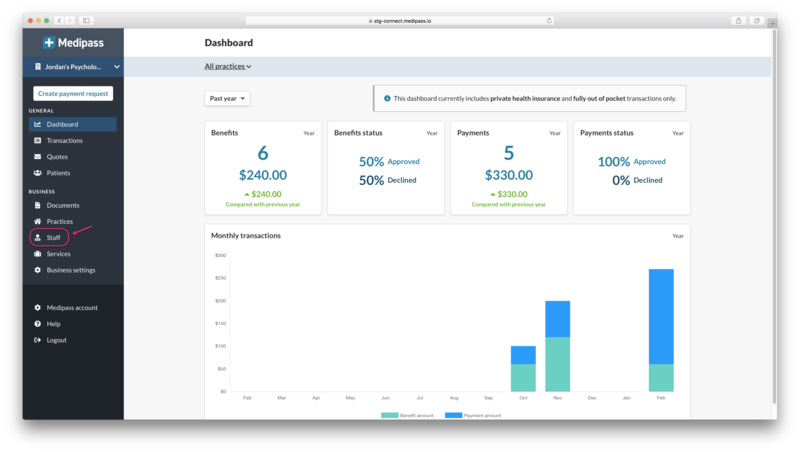 Would you like to add or remove a Practice Manager to your Medipass account? If you have added a staff member and would like to make them a practice manager, first select the "Staff" tab. You can then select which staff member from the list. 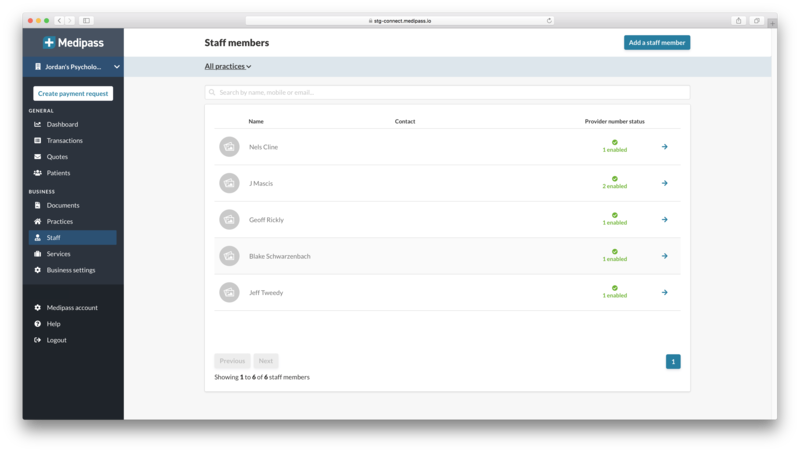 After selecting the staff member, you will be able to click the "Edit staff member" button at the top of your screen. Under "Practices managed" you can select the "Select or type a practice" field. In the drop down box, there will be each practice you have added to your Medipass account. Simply select which practice this staff member manages. If they manage more than one practice, you can select multiple practices. Once you have finished selecting the practices, and you're happy with the changes, select "Save changes". To remove the practice manager roll from a staff member, you will just need to select the "Staff" tab and click on the blue "Edit staff member" button. You will then be able to scroll to the "Practices managed" section. You will just need to select the blue 'x' next to the practice listed. 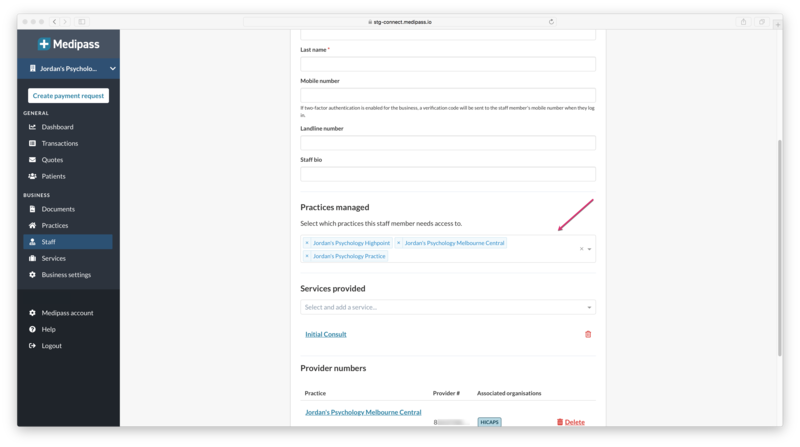 Once you have removed the practice from the "Practices managed" section, you can click the "Save changes" button at the bottom of your screen. If you would like to add staff, you can follow these steps - Adding staff members.